One of the trial units from the Nuffield Primary Solutions in Design and Technology. In this unit, children learn about woven fabrics, and to design and make a fish like construction using a primitive loom. 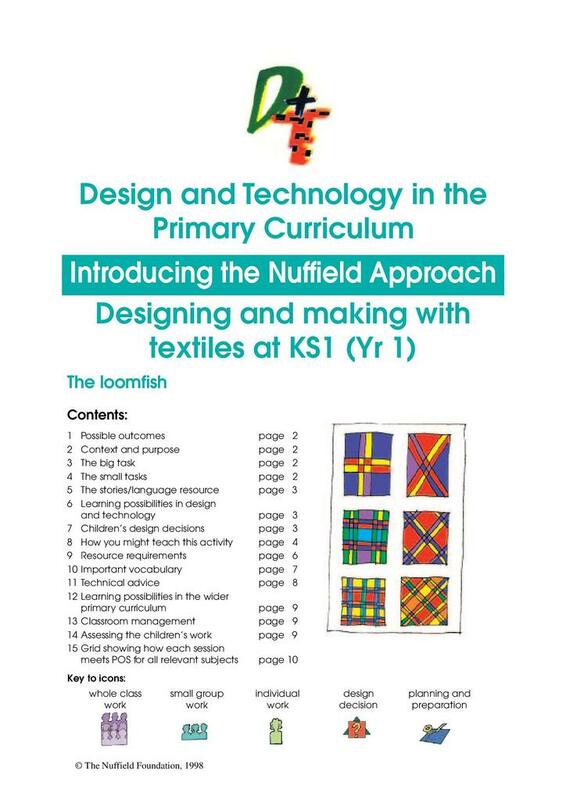 The finished loomfish can be displayed in the classroom, so that the different designs can be discussed and evaluated as part of the learning.